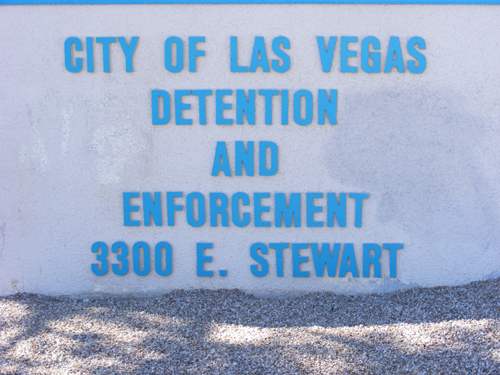 If someone just got arrested and is at the CCDC call 702-608-2245 to search for an inmate. 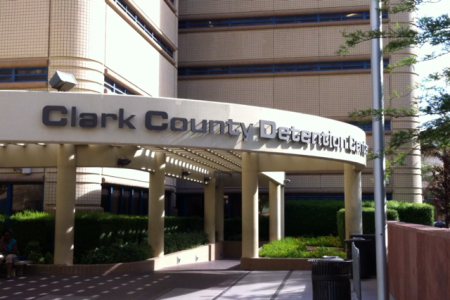 To visit an inmate at the CCDC you have to go directly to the Jail on 330 South Casino Center between the hours of 8am – 11pm to register for CCDC visitation. Parking is available across the main entrance of the jail in a large parking garage. 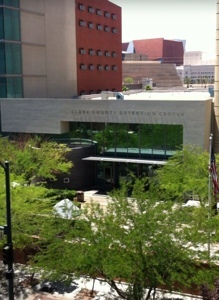 You have to bring a valid ID and walk through a metal detector before you enter the Clark County Detention Center. When you are inside you walk up to the service window to register. Once done registering you can visit with your friend or loved one during the CCDC visitation hours of 8am – 10:30am and 7pm – 11pm seven days a week. CCDC visitation is done through close circuit TV by sitting in a booth, looking at a monitor and talking with the inmate through a phone. You should always remember that the video visitation is recorded. A word of advise is to come early for visitation, there are usually long lines going into the CCDC, where the metal detector is and also at the visitation check in window inside the jail. 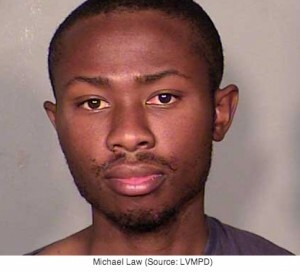 Call 702-608-2245 if you need further help. Why visit someone if you can get them out by posting bail. 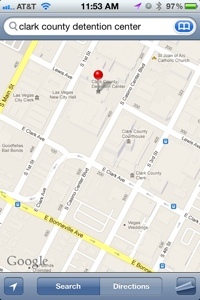 eBAIL serves the entire Vegas Valley including North Las Vegas, Summerlin, Henderson and Green Valley.